After two days of H.O.T. 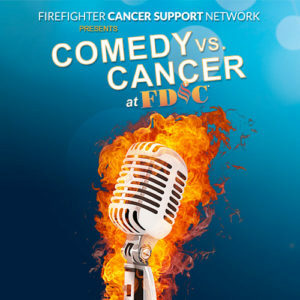 evolutions, relax and enjoy a great evening of standup comedy with your brother and sister firefighters! Have some laughs with our great co-headliners, Kevin Jordan (HBO, Showtime, Comedy Central, Netflix) and April Macie (Last Comic Standing, Showtime, Comedy Central). Chief Ron Kanterman as our host!